‘Where’s my mummy?’ cried the baby seagull. ‘You are not my mummy,’ she said to the crow. The crow looked up at the big baby bird. ‘You’re too big to be a baby!’ he laughed. ‘Where’s my mummy?’ the seagull cried to the robin. ‘Have you seen my mummy?’ the seagull looked down from the roof at a little girl. She looked up at him. The baby seagull was hungry and he stared at the ice-cream. It was rude to stare his mother once told him, but he longed for some food and his tummy rumbled. The baby seagull began to squawk and the little girl began to cry. ‘What if I am lost forever?’ cried the little girl. ‘What if I die from hunger?’ said the baby seagull. She dropped the ice-cream and wiped her sticky hands in her yellow dress. Then she wiped her eyes. 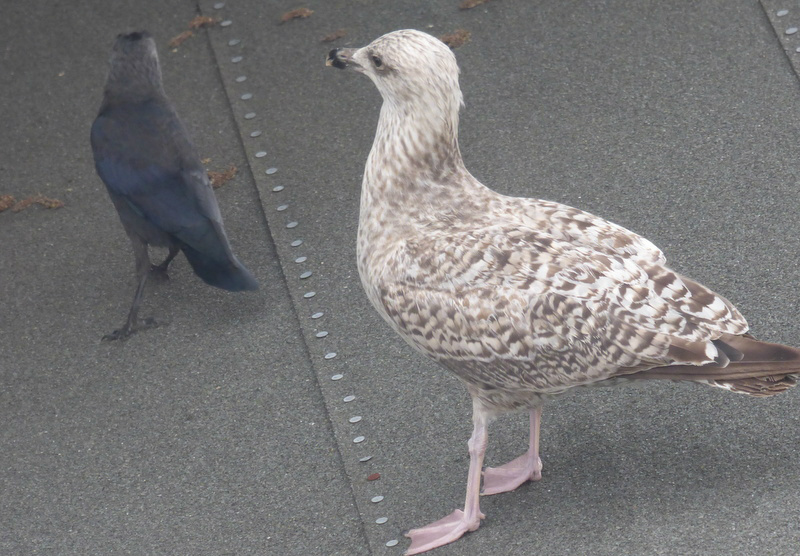 The seagull flew down awkwardly from the roof and gobbled up the ice-cream cone. 'You're too small to be without a mummy,' the little girl said. 'You're too small to be without a mummy,' the seagull said. ‘You naughty seagull,’ shouted a lady and scooped the little girl up in her arms. ‘You good baby,’ squawked a big grownup seagull and tapped the baby seagulls head with her beak. ‘I found my mummy,’ said the little girl. ‘I found my mummy,’ said the baby seagull. I saw this baby seagull on the roof of our shed this morning....his mummy found him!